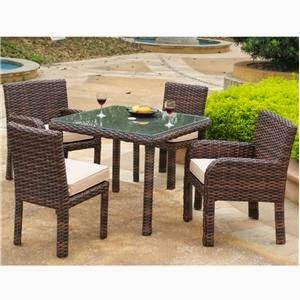 Hennen Furniture: Casual Outdoor Dining or Relaxing Retreat? Casual Outdoor Dining or Relaxing Retreat? With so many styles and brands to choose from, buying outdoor patio furniture can be a difficult decision for many homeowners. There are several things to consider even after you take into account the amount of available space on your patio or deck. To help you choose and to whittle down your choices, you should first decide how you plan to use your outdoor living space. Do you see your outdoor space as a quiet retreat to relax and unwind, or do you envision an outdoor gathering area to entertain family and friends? Or perhaps a combination of the two? To create a quiet retreat, choose couches and chairs with soft cushions that are easy to get comfortable and stay comfortable in. Since these cushions will primarily stay outside, be sure to choose durable fabrics that are easy to clean and can stand up to the elements. Outdoor cushions should hold their colors without fading in the sun and dry quickly when they get wet. Soft outdoor armchairs, sofas and love seats, rockers, footstools, and chaise lounges are all good options to create a relaxing atmosphere. Decorative throw pillows in coordinating colors and homey accents will help to pull the look together. For entertaining and casual outdoor dining, look for tables with ample space to lay plates, glasses and serving dishes. Dining chairs should be straight-backed or at least offer firm support so guests will be comfortable eating and drinking while seated. Low coffee table seating is better for serving drinks and casual snacks compared to full-course dining. Traditional dining tables or tall, café-style tables and stools are both good choices and can be found in styles ranging from contemporary casual to chic and sophisticated. To help serve or stow glassware when not in use, choose an outdoor drink cart or serving tables with built in cabinets. Many homeowners will choose to create an outdoor living space that is a combination of a quiet retreat and casual dining area. If space allows, create distinct areas for outdoor dining as well as more casual seating where your guests can relax and unwind. Shade is important regardless of how you intend to use your space. Consider adding an umbrella if shade from backyard trees is insufficient. There are many different types of umbrellas to choose from that will fit any outdoor space and decor. 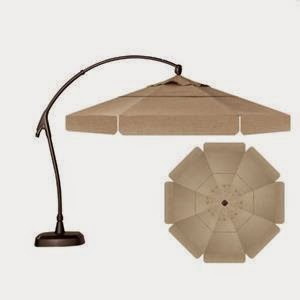 For example, a cantilever style umbrella is a stand-alone umbrella that can swing into place whenever you need shade. To keep your outdoor furniture looking its best, keep it covered when not in use or store inside away from the elements. When cleaning, always follow the manufacturer’s instructions as some outdoor furniture will require special care. Whether you are looking to create a relaxing outdoor retreat or a casual dining experience for your friends and family, Hennen Furniture has the style and comfort you are looking for. 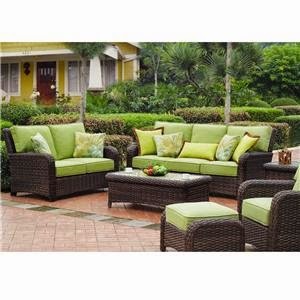 Come browse our huge collection of patio sets and accessories at our patio store. At Hennen’s, we offer all the best patio brands and outdoor living furniture including Seaside Casual, Tropitone, Homecrest, Breezesta, and Woodard. Our sales associates can help you create the outdoor living space of your dreams. Come see us at Hennen Furniture today!